The Golden Retriever has been an AKC-recognized breed since 1925 and was commonly used as a gun dog and for retrieving small game such as waterfowl or for companionship. With its origins lying in the Scottish Highlands, this breed was developed into a very capable hunting breed by Noblemen throughout Scotland’s countryside. 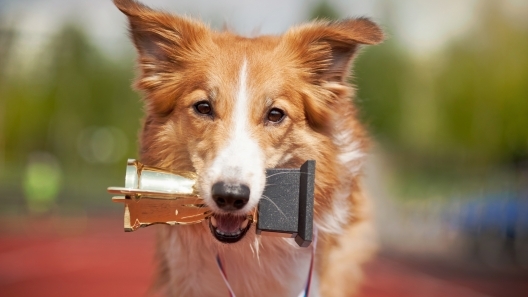 Great discipline and a gentle spirit make the Golden Retriever a perfect retrieval breed since the goal of this task is to bring the trophy back as undamaged as possible. If you are not the sporting type, bringing a Golden Retriever into your family as a pet is just as rewarding because they are one of the most loyal and jovial breeds out there. Highly trainable because of their good intelligence and desire to please their owner, the Golden Retriever is an ideal dog for any owner. They are somewhat mouthy at times, so breaking them of that early is recommended. Obedience training is always a good idea for any owner of a new puppy. Saying the Golden Retriever is a friendly breed is an understatement. They are good with strangers, tolerant with young kids, and good with other family pets. Taking your Golden Retriever to the dog park will be an enjoyable experience as he will want to play friendly games of keep away with the other dogs! The Golden Retriever is an adaptable breed. They do well in just about any climate, but like any dog can be sensitive to extreme heat. They are not at all happy being left alone for long periods, so make sure this dog will have an active role in your life. They are somewhat sensitive to their surroundings, so be aware of this when having a large gathering and make sure they feel included but not overwhelmed. With good bloodlines, the Golden Retriever is a healthy breed. The main concerns with this breed are dysplasia of the hips and elbows, and canine cataracts. Check with your breeder to find out the history of the parents. This AKC-recognized breed is suitable for even novice owners. Golden Retrievers are highly intelligent, attentive, and eager to please their owners, which makes them a highly trainable dog breed. The Golden Retriever will shed, but with proper grooming it can be controlled. Brush this breed at least every other day and trim their nails once a month. You should also brush their teeth at least once a week to avoid the buildup of tartar. 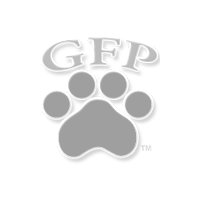 Handle your puppy’s paws regularly early in life to get them comfortable with general grooming. 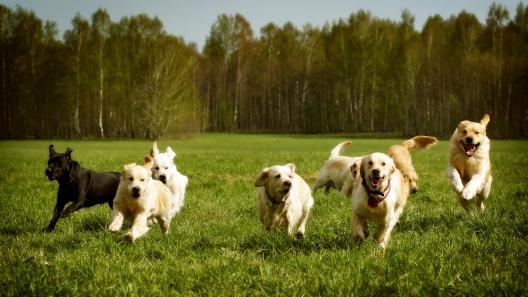 High energy is a word you will learn well with the Golden Retriever, but take it in stride. Much like the Labrador, it will wind down as it moves into adulthood and settle into your lifestyle well. Make sure you take them for a walk every day as they need this to be balanced. And, your Golden Retriever will always love a good game of fetch. The Golden Retriever will range from 20 to 25 inches tall, and weigh from 60 to 80 pounds. This dog breed usually lives for 10-12 years. Golden Retrievers have made plenty of famous appearances, including starring in Disney’s Air Bud and as Comet in Full House. The Golden Retriever is a breed of dog originating in Scotland. 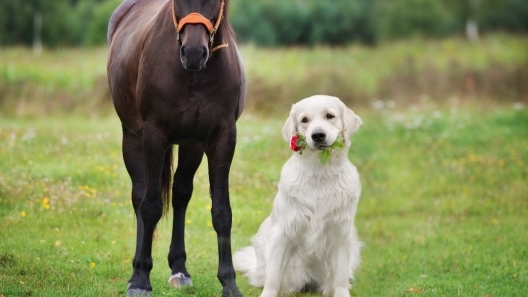 Developed in the 1860’s, this breed is still one of the most popular breeds to have as a family pet. They were recognized by the American Kennel Club in 1925 and were the first American Kennel Club Obedience Trial Champion. Due to their intelligence, they have been used to help with many tasks, including hunting, guiding the blind, search and rescue, and bomb sniffing. The Golden Retriever is eager to please and easy to train. They love to swim and play fetch. These charmers are friendly with everyone, including other pups. Their grooming is pretty easy, mainly requiring regular brushing and occasional baths.